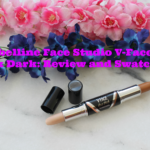 I am so excited about today’s post because I have found such versatile and amazing makeup products after so long. 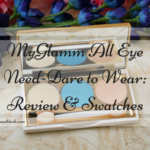 Today’s review is on MyGlamm Chisel It – Show Stopper trio palette. Guys, I am head over heels in love with this product. 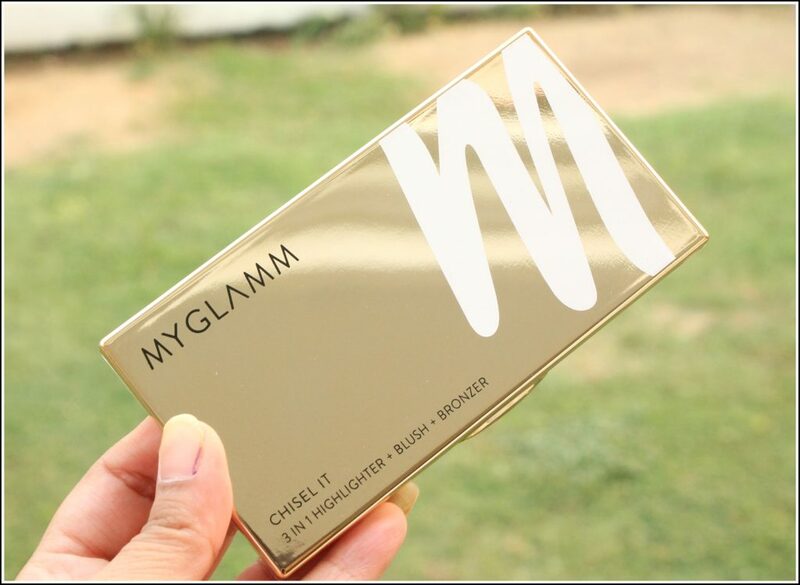 Recently MyGlamm sent over few of their products to me and I have been drooling over them. So without blabbering much let’s get started with the review because I have so much to talk about. A buildable trio that includes a bronzer, blush and highlighter that imparts colour for a naturally flushed look. In varying levels of intensity, taking you from day to night – from an everyday, wearable blush to a dramatic sculpted look or a more intense evening glow. Cruelty free and free of nano-ingredients, parabens, silicon, mineral oil, preservatives and fragrance. Collect a small amount of product with a face powder brush, such as the MyGlamm Chisel It Blush Brush. 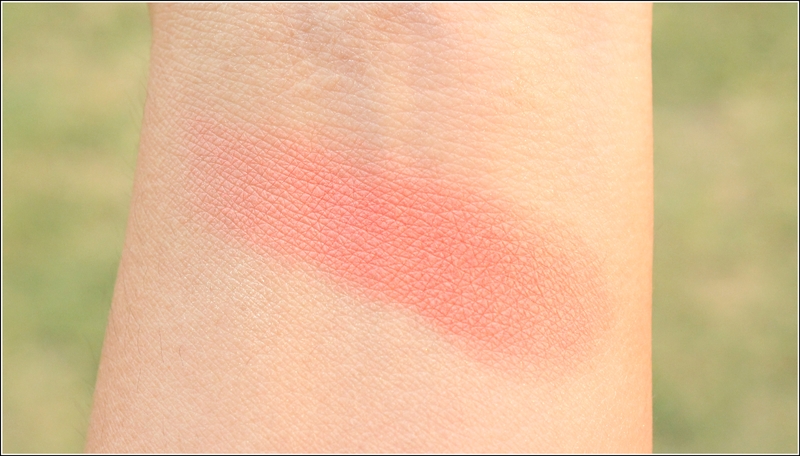 Sweep this pink blush onto the apples of your cheeks and blend upwards along cheekbones, blending inward on the face. Collect the bronzer with a Powder Brush. Using circular motions, pass the brush over the compact. Apply the product by gently blending it onto the face, neck and neckline. Sweep the highlighters over your cheekbones, dab it onto your lids for a pop of color, or apply it to your shoulders for a luminous glow. You can buy it from their official website from HERE. Guys, the packaging of all their products is top notch. They are so classy and elegantly packed makeup products. They look chic, sophisticated and can give any luxury brand a run for their money if we compare luxury brand packaging to MyGlamm packaging. All their products come in a glossy white cardboard packaging with a golden logo of the brand on top and all the details about the product, the price and the ingredient list is mentioned on the box itself. Once you open the box there is another layer of foam packaging that holds the palette and keeps it safe and secure. I love such detailing in the packaging and it is great to see when a brand emphasizes on the packaging so much. I am a kind of a person who loves to keep her products in the original packaging, means I never throw away any outer packaging of any product that I own and when a brand puts so much effort to create a packaging like this I like to appreciate their hard work. 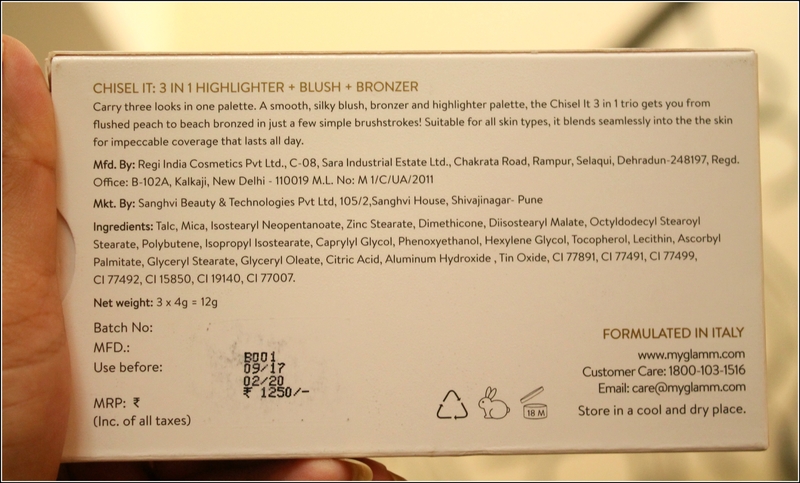 All this detailed description was about the outer packaging, now let’s come to the packaging of the palette. OH MY GOD…. The packaging of the palette is to die for. It is a sleek, rectangular palette which has a golden mirror like finish with the brand logo, the brand name and the product name printed on it. Once you open the palette there is a mirror inside which is great for doing touch ups and there are 3 pans inside the palette, one is a highlighter, other is a blush and the third one is a bronzer. You can look at the pictures and see how gorgeous this palette looks. Now let’s talk about the texture of all this palette. All the three powders are very finely milled, they are extremely soft and buttery. There is no kick back issues with these powders. They feel extremely light of the skin, blend like a dream, not at all blotchy or patchy on the skin and look so skin like on application. The pigmentation of this palette is to the point. 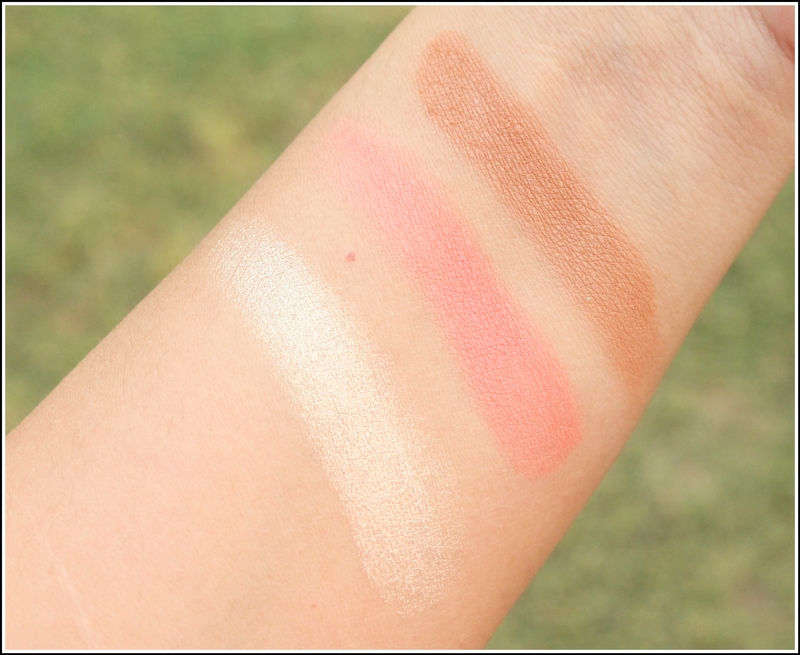 The powders are not extremely pigmented but they have just the right amount of pigment. I personally do not like extremely pigmented products because sometimes they can look artificial and over the top on our skin. The palette is decently pigmented. Highly pigmented powders are very hard to work with, you have to be extra cautious while working with them because if you go a little heavy they leave a blotch of colour on the face. 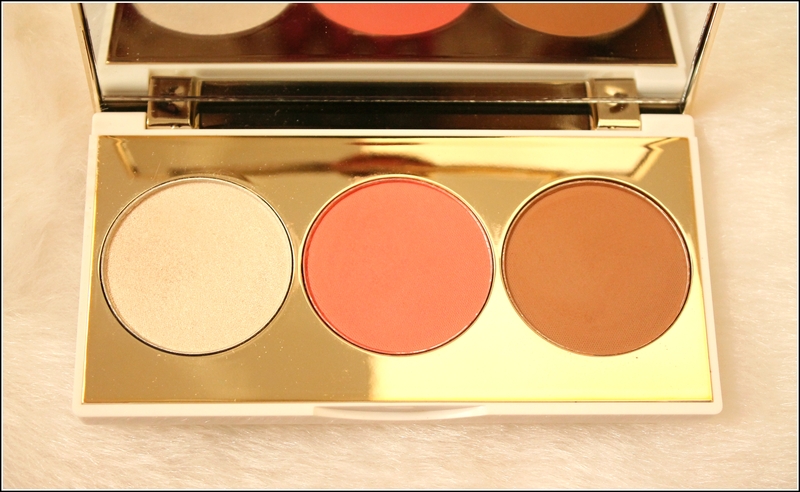 Whereas when you are working with products or palettes that are decently pigmented you can go a little heavy also. I apply a little at a time and always build up the product as and when required. If I am going for a day look, I just apply the blush, the highlighter and the bronzer once but if I am going out at night I always build up the product and it gives me just perfect look. All the 3 powders stay on my face for a good 4-5 hours during the day time. At night I usually like to go a little heavy with all of them with all that jazz of makeup primer and setting spray and in that condition I have noticed them to stay on my face for a good 6-7 hours after which they fade off a bit. As you can find out I am seriously in love with this palette. I like everything about it, the packaging, the texture of the powders, the pigmentation, the longevity, the shades, everything is just bang on. 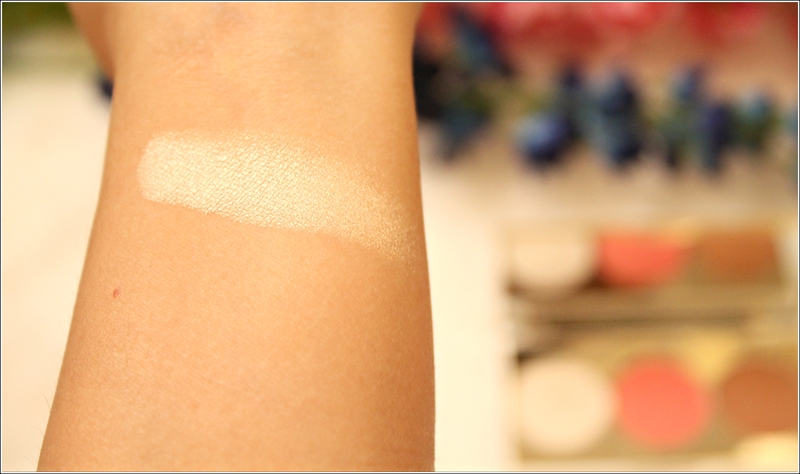 It is a very subtle golden colour highlighter with very minute shimmer particles in it. The powder is very buttery and smooth in texture. It applies effortlessly and blends in like a dream. Will be suitable for mostly all Indian skin tones. It gives a very beautiful sheen to the face, the particles are not at all chunky, it gives a glow from within like effect. I use a Morphe fan brush to apply the powder to the highest point of my cheekbones, to the bridge of my nose, to my cupid’s bow, above my brows and it lifts up my entire face. I also apply this to the inner corner of my eye to open up my eyes and also under my brows to lift them up. 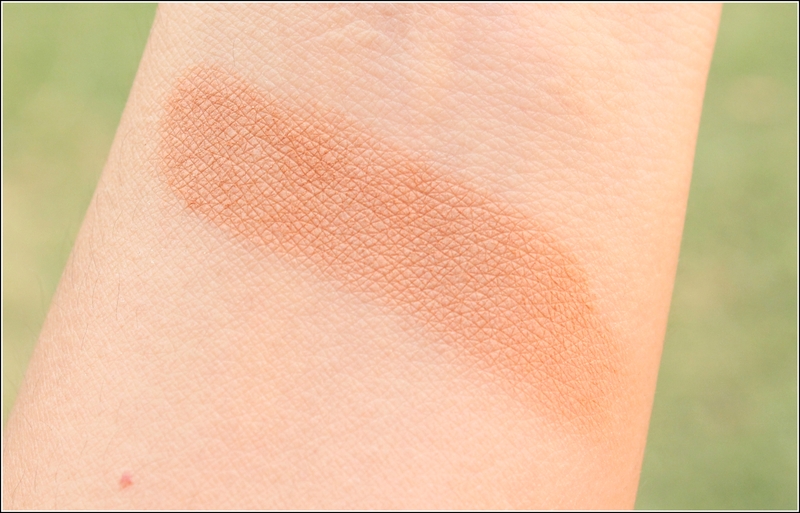 It is a beautiful matte pinkish coral blush and it looks so beautiful on the cheeks. Very muted kind of a blush which gives a flushed look to the cheeks. Again a finely milled powder, not at all blotchy or patchy, blends easily and gives a healthy glow to the face. The contour shade is a matte warm toned brown shade which makes it a perfect contour shade for my skin tone( I am NC42 in MAC). I apply the contour shade with a Morphe contouring brush under my cheek bones, along the sides of my forehead and temples, on the sides of my nose and under my jaw line. It gives a very chiseled effect to my entire face. 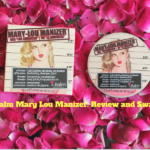 The powder is very satiny soft and is very easy to blend. I always like to build up the powder to give a nice definition to my face. All in all, I think I have found my holy grail face palette. 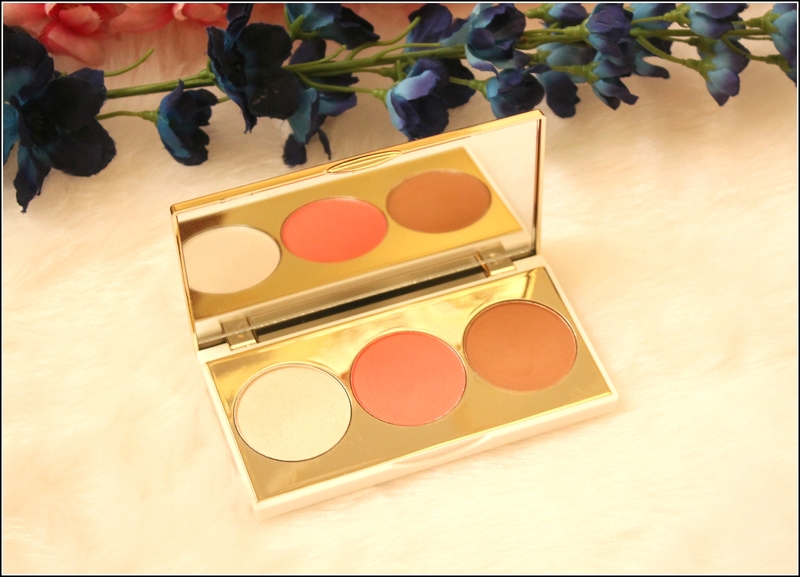 The quality of the palette is to die for, the packaging is so elegant, it is so sleek to carry around in your handbag for touch ups during the day, all the 3 powders are buttery soft, what else can you ask for. I am seriously obsessed with this one. No fragrance at all which is a big yay for me. Not at all chalky or blotchy on the skin. Are you kidding me, after such a long and detailed review of how much I love this palette do you think I can put down any con over here. I will give it a full 5/5. 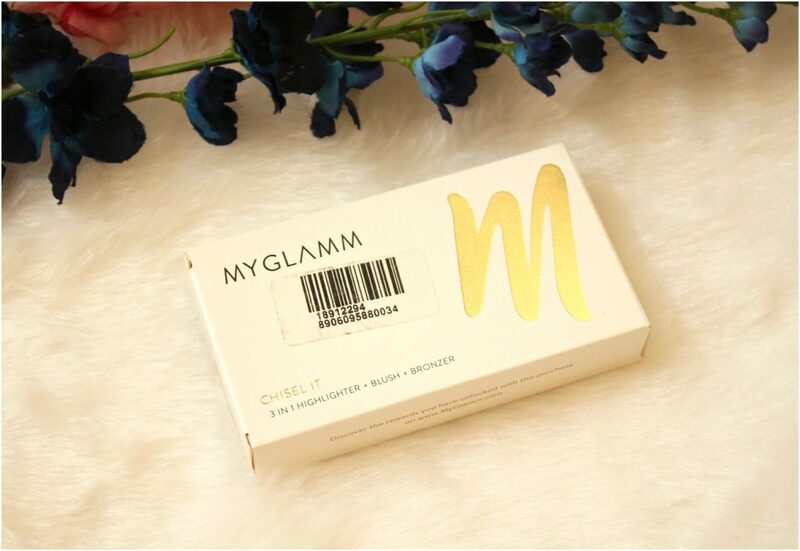 Will I recommend the MyGlamm Chisel It – Show Stopper to anyone? 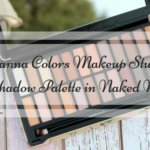 I would recommend all of you guys to go and grab this palette as soon as possible. 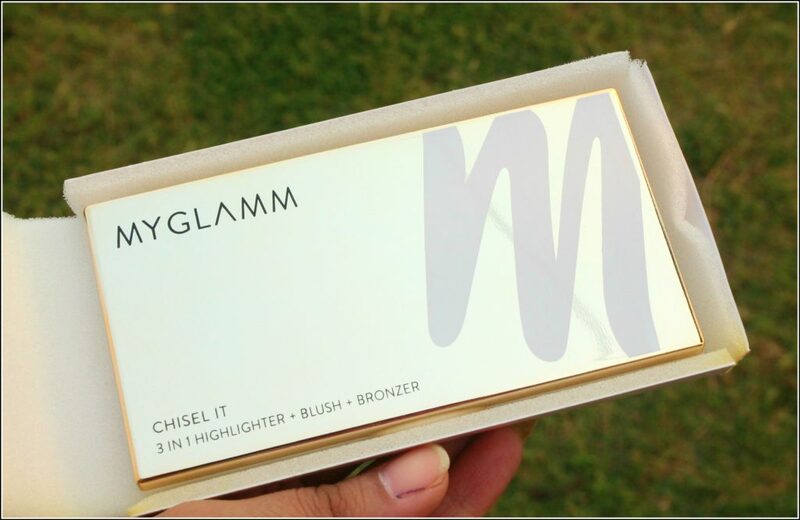 Guys if you are looking for a decent face palette then I would highly suggest you to buy the MyGlamm Chisel It – Show Stopper. 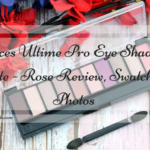 It is seriously a must have product for every makeup lover. Hi Sarah,I too hope MyGlamm will become an International brand too. Awesome I’m gonna buy this after reading the article. Thanks for such a wonderful review . 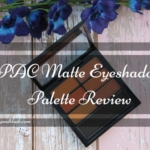 Hi Priya, do try out this palette, its great.